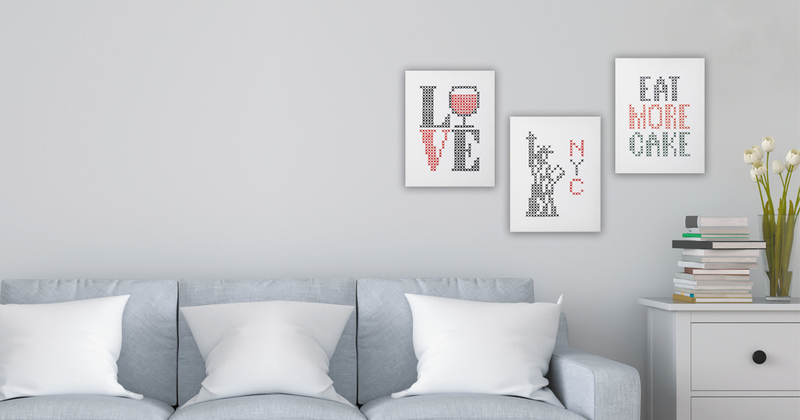 6 urban big cross stitch designs that will bring a new vibe to your home! 5 modern and quirky designs perfect to decorate your kitchen! 7 sweet baby designs that will brighten your baby's room! 4 adorable designs that celebrates family life at its best! 6 nice girly designs to celebrate the joy of childhood and flourishing friendships!